The Chicago Cubs and Iowa Cubs have agreed to a two-year Player Development Contract extension through the 2022 season, the organizations announced today. The two clubs had previously agreed on a PDC contract through the 2020 season. 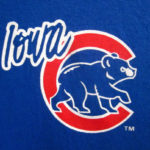 The affiliation between Iowa and Chicago began in 1981, with Iowa adopting the Cubs moniker in 1982. Of the 160 teams in Minor League Baseball, this is the ninth-longest current affiliate relationship between a major league team and a minor league club. This extension guarantees at least 42 years of partnership between Iowa and Chicago.